Fashion students listen up! With London Fashion Week fast approaching, ready to showcase the looks for A/W 2014, we delve straight into the industry itself. While we mere mortals eagerly await this year’s trends it seems that the fashion houses are already planning for 2015! 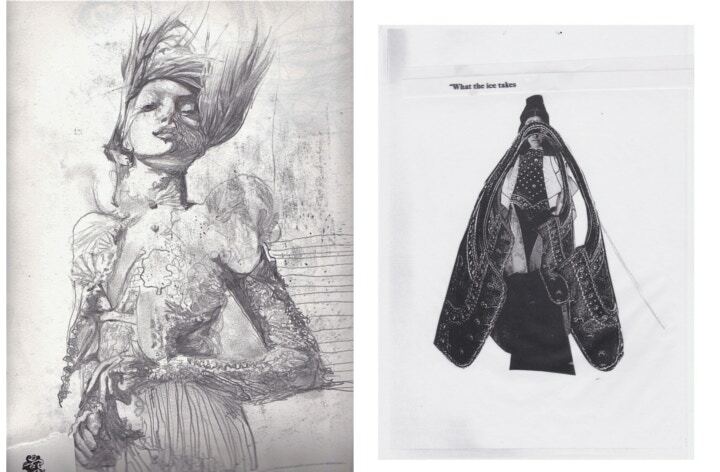 Cass Art was lucky enough to talk to Abi Samuel, Fashion Design student at Westminster University who is currently interning in the womenswear department at the prestigious label, Alexander McQueen. 1. How did you get into Fashion Design? When did you realise it was your calling? I've always been an artist, and one thing a lot of people don't realise is that fashion is really the same as any other art form - photography, fine art, graphics etc. I remember the exact moment I realised fashion was what I wanted to go into; I was doing my Foundation and we spent 6 weeks or so trying out different areas of art, textiles, fine art, graphics etc. On the very first day of Fashion Design, we had 3 minutes to sketch the model in this really strange outfit that the tutor threw together. There was something about the fast pace, the adrenaline. The colours, the quick change in media. I could see the tutor peering over my shoulder at my drawing. I knew that day that Fashion Design was for me. 2. What has your experience of both college and the industry been like? How are they different? College and the industry are two totally different things. 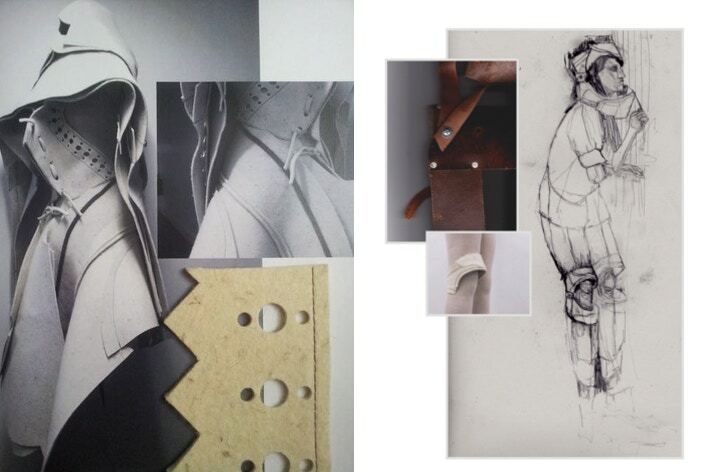 My university is notorious for being one of the most pressured Fashion Design courses in England. The work load and competition is really high. However what I have learnt is that if you go and work for a fashion brand, everyone has their own role - there are the pattern cutters, print designers, machinists, designers etc. Don't get me wrong it is very high pressured, but nothing in comparison to studying fashion design where you are doing all these things yourself. They say that my course is very industry based, preparing you for the outside world; but in some way I think it actually teaches you to go out into the industry independently, because setting up your own label is seriously, seriously tough and you've got to be willing to take on all of these roles that perhaps the more established brands can hire other people to do. 3. What is it like interning at big name fashion house Alexander McQueen? I can't even put into words how much of a dream it was when I received the email to say they wanted me to start an internship at McQueen. I always had it in my head that I wasn't anything in comparison to the talent and was shocked to find out I had got it and other people in my class who interviewed at the same department and didn't get it. I got a book when I was 12 years old on the top British Fashion Designers and the front cover was of a photo taken by Nick Knight of an Alexander McQueen garment. I was absolutely mesmerized by it. I've always been very connected to his work, I always seem to be attracted to his work even when I don't know he designed it. Lee McQueen wasn't a 'Fashion Designer', he was just a normal bloke from Stratford. I always said to myself that one day I would work at Alexander McQueen but it's incredibly surreal when it does actually happen! Although you feel like you're on top of the world, once you get there you're back at the bottom of the food chain! It's long hours but every minute is totally worth it. I was very lucky the day I started, they started research for the new collection and gave the other intern and I the responsibility for coming up with all the new research - it was incredibly exciting and I was amazed at the trust they put in us! 4. What advice would you give to a budding designer student? Find yourself and never be afraid of who you are. That's what's going to make you and save you in the industry. Thrive from your mistakes and really believe in yourself. No one's perfect and your brilliance may not come across straight away. The industry is harsh, but never let anyone tell you that you shouldn't go into it because it's too competitive. If it's what you want and you are willing to do what it takes, you'll make it. Take every opportunity and always listen to your gut. 5. 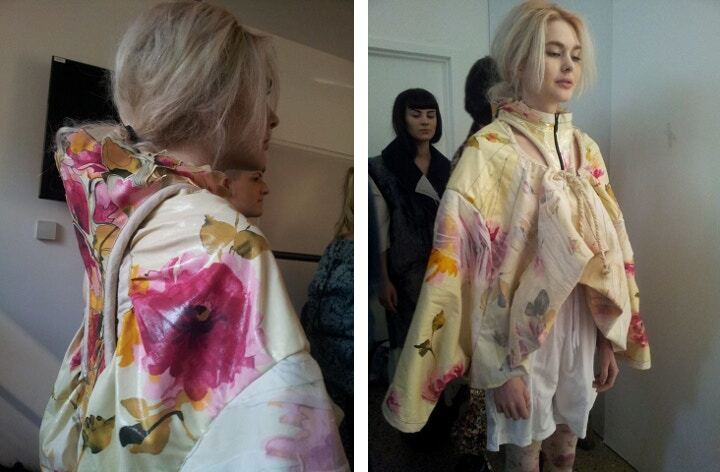 What are your predicted trends for LFW 2014? Trend prediction is really quite complicated. You need to be very aware of absolutely everything that is going on around you, in the news, the latest technology, all the previous collections, the best TV series etc. I guess what I am saying is I haven't got a clue! You tell me. One thing I can say is that the line between men and women is blurring. Women are no longer restricted by clothing which is designed to show off their assets i.e: short skirts, fitted jackets/dresses and high heels. Contemporary fashion is all about the strong, independent women and as a young womenswear design student, it is mine and others responsibility to keep pushing this forward. Look out for men and women walking down the runway in pairs wearing the same clothes! 6. Can you tell us a bit about the sketches and garments you’ve shared? I've sent you a range of my work. I find it almost difficult to do this because even looking at it now, I know I can do better and there is so much more to learn. I have sent you some of my work from my sportswear project- my research began with polar exploration and believe it or not, I ended up on the topic of brogues. This is where I found my love for pattern cutting. By cutting up all my shoes in my cupboard and going to my local boot sale, I obsessively studied Brogues and eventually came up with the pattern for the body of them. I then enlarged the pattern pieces and made giant 'shoes' if you like. The skirt and the top are both the same pattern, except I made the skirt by stopping the production process half way and draping with it. It created this really beautiful and unique flow which I loved. I have also sent some work of mine which I just generally love. Random doodles, photographs I have taken, mini collages etc. Over the past couple months I've really been exploring my identity which is so important in this industry and a lot of this has been through taking anything around me that I find interesting and doing something fun with it. Contact Abi at abijoy.samuel@hotmail.co.uk for more details on her work. Feeling inspired? 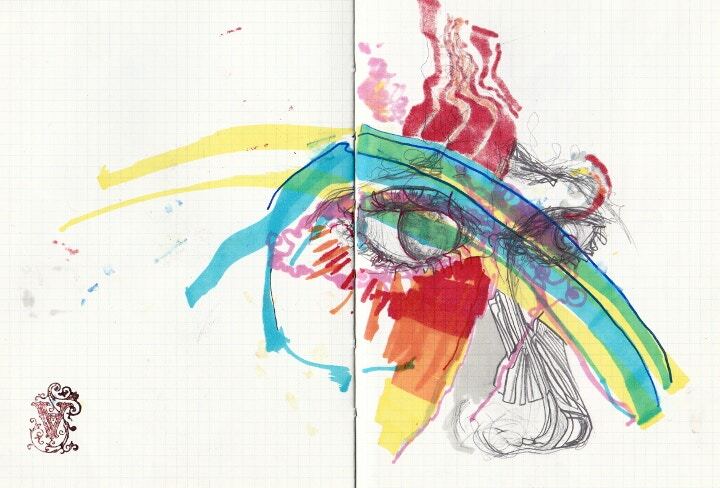 Head to Cass Art’s online shop www.cassart.co.uk to stock up on your art supplies, and be sure to follow us on Facebook and Twitter for all the latest on emerging artists and events including interviews with Willa Gebbie and fashion photographer Laura Coughlan.